Part of the DeRegnaucourt Apparel Upgrade Program. Has a couple small spots but otherwise very lightly used. 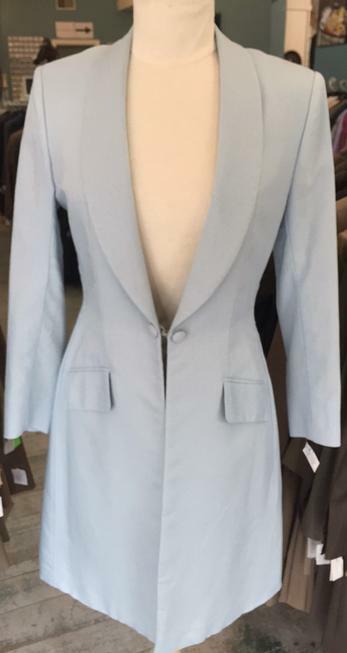 Coat Length: 39" plus 1 1/2"
Coat is new, straight from DeRegnaucourt and never worn. 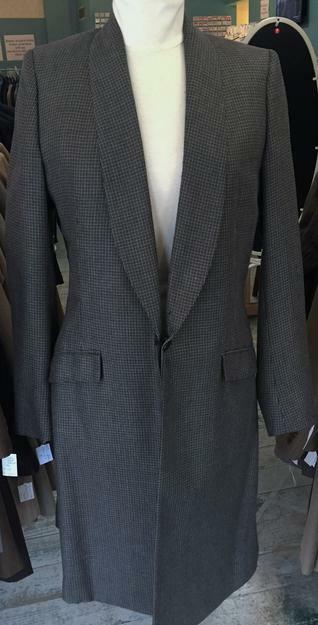 Sleeve: 23 1/4" plus 1"
Coat Length: 38" plus 1 1/2"
Coat is very lightly used. 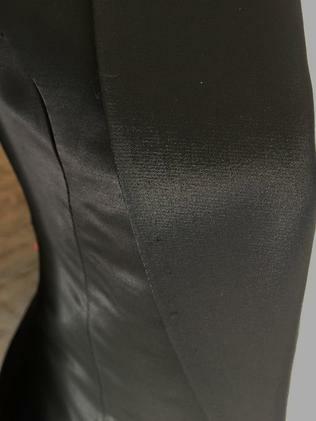 Length: 37 3/4" plus 1 1/2"
Left armhole has come unstitched in small area. 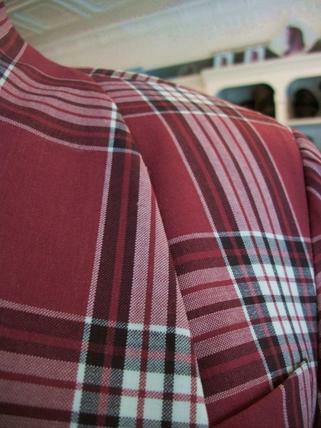 Some faint sweat staining on back of coat skirts. Has faint spot on back of shoulder that may clean out. 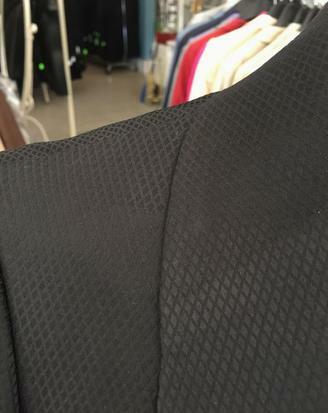 Faint dirt lines visible from sleeve length being let out. 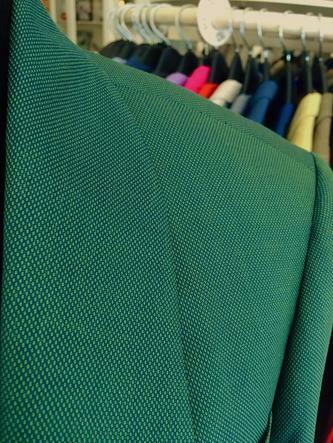 Sleeve: 25 1/2" plus 0"
Coat Length: 39" plus 2 1/2"
Marked size 12. 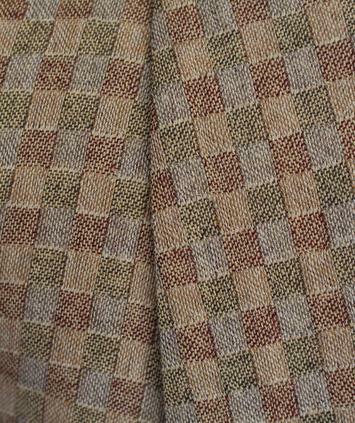 Lining of left armhole has come unstitched. 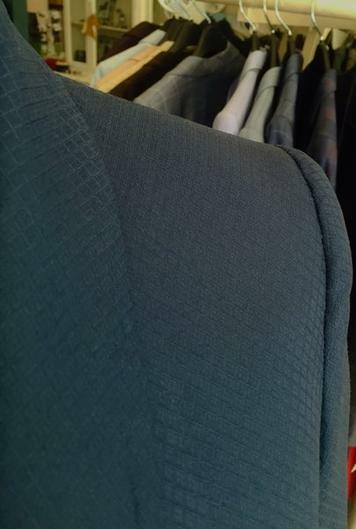 Has sweat staining on back of coat skirts and shoulder pads have gotten lumpy. 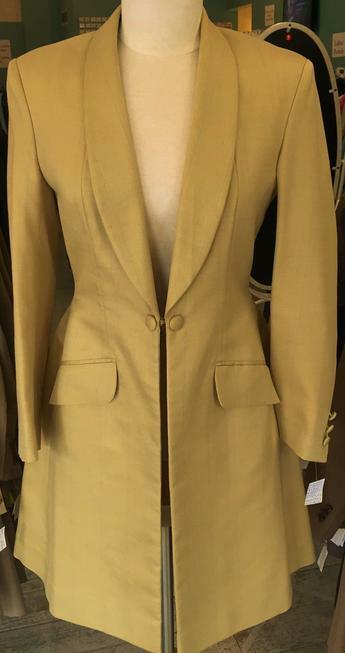 Sleeve: 24 1/2" plus 1"
Coat Length: 36 7/8" plus 2"
Coat is lightly used with a couple tiny nicks to fabric. Bottom coat lining has come unstitched in one small section. 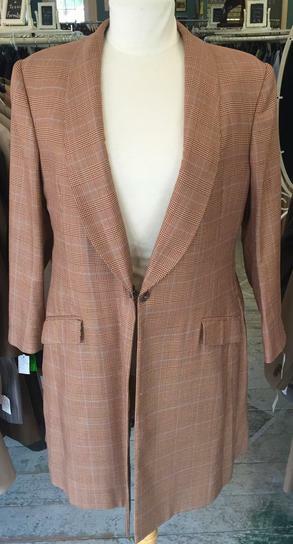 Coat is lightly used (or not worn at all) and part of the DeRegnaucourt apparel upgrade program. 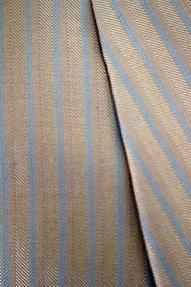 Fabric does not have much sheen. Sleeve: 23 3/4" plus 1 1/2"
Length: 37 1/2" plus 1 1/2"
Very lightly used. 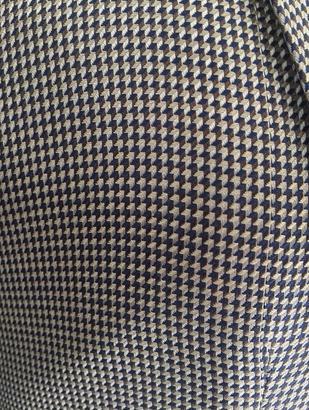 Has notched collar. 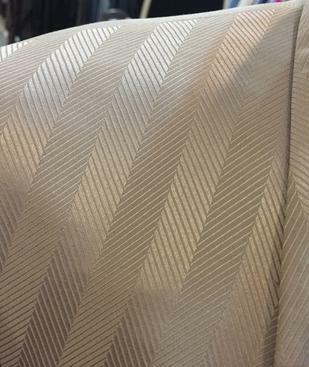 Fabric has some sheen to it. 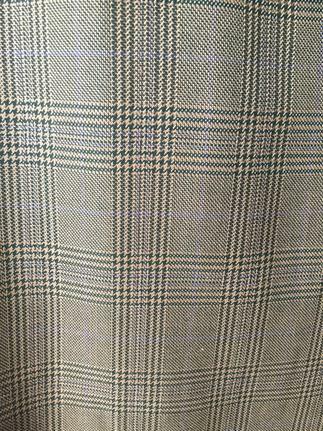 Lining on bottom of coat skirt has come unstitched. 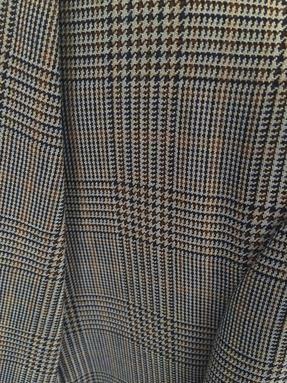 Fabric has a couple pulls and sweat stains on bottom of coat skirt. Coat Length: 35 1/2" plus 1 1/2"
Has snaps to hold skirts back. 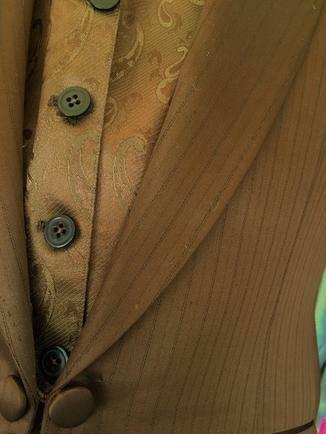 Sweat staining visible on bottom of coat. Sleeve: 24 1/2" plus 1 1/2"
Coat Length: 37 1/2" plus 2"
Has black lining. Lining on right sleeve cuff has come unstitched. 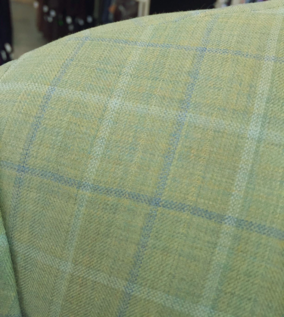 Has a few picks to fabric and has gotten slightly fuzzy. Sleeve: 23 1/2" plus 1 1/2"
Coat Length: 36 1/2" plus 2 1/2"
Has a few picks to fabric otherwise lightly used. Sleeve: 25 1/4" plus 1"
Coat Length: 38 3/4" plus 2"
Very lightly used but does have a spot on left shoulder that may clean out. 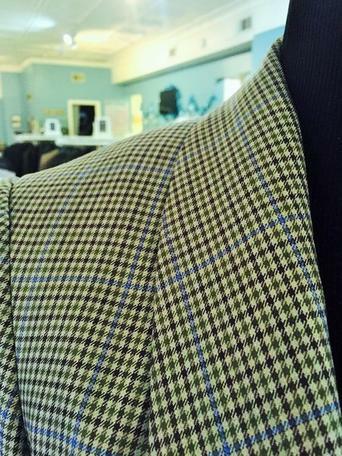 Coat Length: 37" plus 0"
Lining of both armholes, middle vent and bottom of coat have come unstitched. 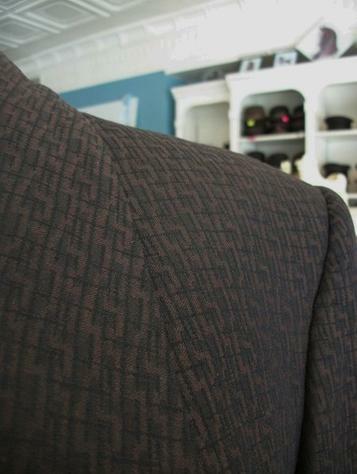 Back of coat skirt has faint sweat staining and small dirt stains. 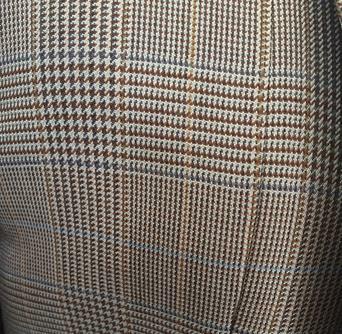 Coat has light sheen. 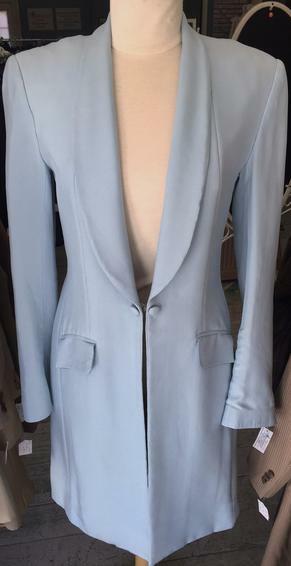 Coat Length: 36" plus 2"
Coat appears to have never been worn and has some sheen. 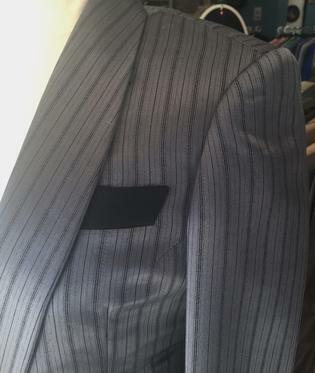 Coat was let out all the way and a different fabric was added to lining. 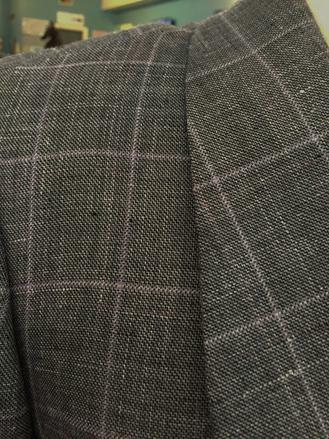 Has faint sweat marks and minimal puckering at bottom of coat. 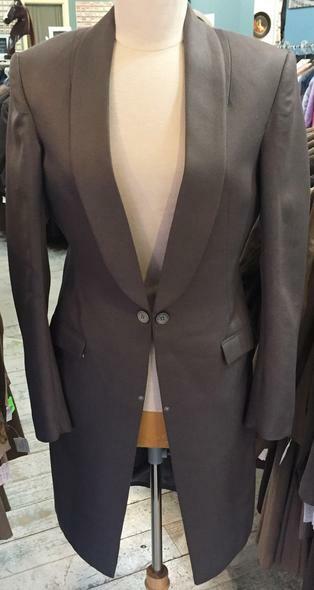 Coat Length: 38 1/4" plus 0"
Left armhole lining has come unstitched. No real flaws. 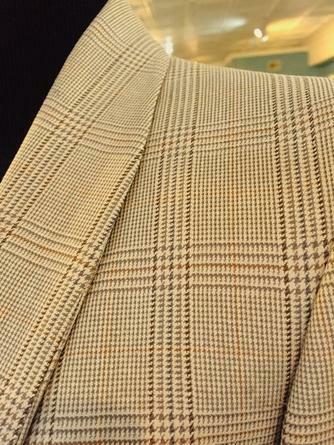 Sleeve: 24 3/4" plus 1 1/2"
Coat Length: 35 1/4" plus 2 1/2"
Lining at bottom of coat skirt has come unstitched. 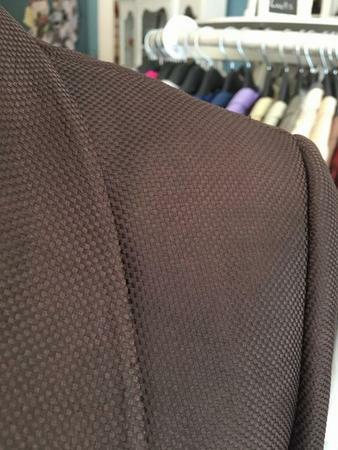 Bottom edge of coat has puckering and pilling from sweat. Nape to Waist: 16 1/4"
Coat Length: 37" plus 2"
Fabric has gotten fuzzy/pill-y in some areas. 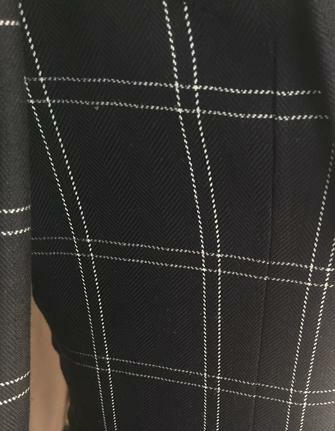 Dart seam near right pocket appears to be stressed. Part of the Apparel Upgrade Program. Appears never worn. Sleeve: 25 1/2" plus 1 1/2"
Nape to Waist: 16 3/4"
Coat Length: 38 3/4" plus 1 1/2"
Left armhole and small amount on bottom coat skirt has come unstitched. Few minor picks to fabric. 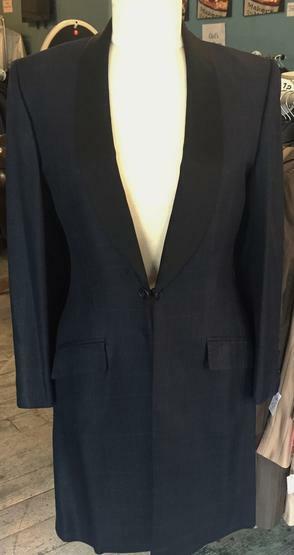 Nape to Waist: 18 1/2"
Coat Length: 39 1/4" plus 2"
Part of the DeRegnaucourt Apparel Upgrade Program. 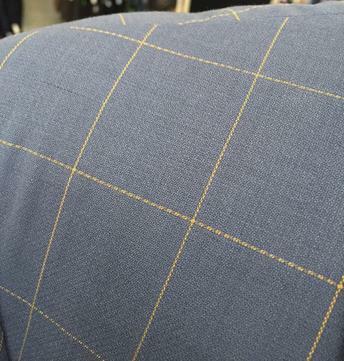 Has blue lining. Coat appears to have never been worn. 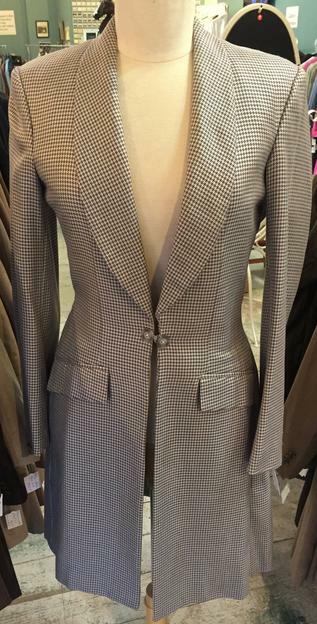 Coat Length: 37 7/8" plus 1 1/2"
Has snaps to hold coat skirt back. Coat is very lightly used. 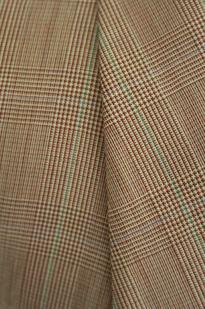 Coat Length: 38 1/2" plus 1"
Lining at the bottom of coat skirt has come unstitched. Has some sweat marks. 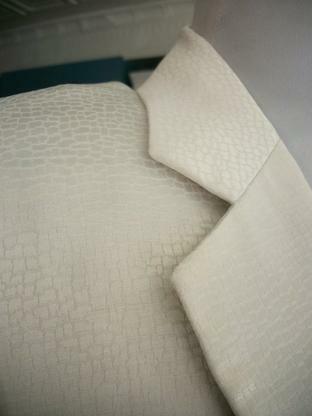 Nape to Waist: 17 3/4"
Coat Length: 37 3/4" plus 1 1/2"
Right cuff and bottom of coat skirt lining has come unstitched. 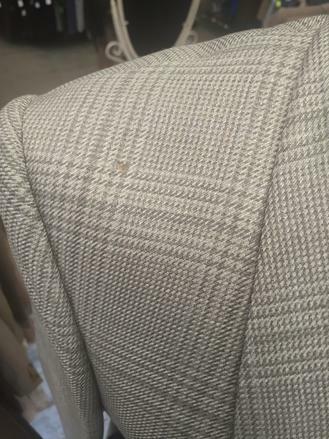 Has some sweat marks on coat skirt. 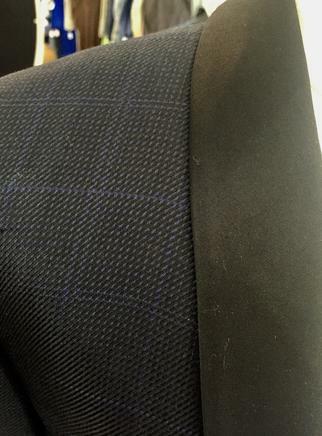 One tiny black dot on right lapel. 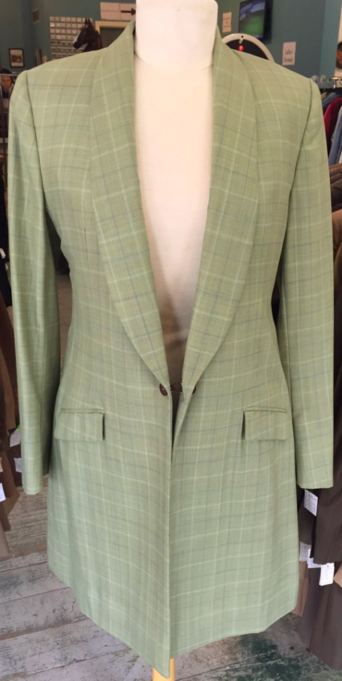 Coat Length: 36" plus 3"
Part of the DeRegnaucourt Apparel Upgrade Program. 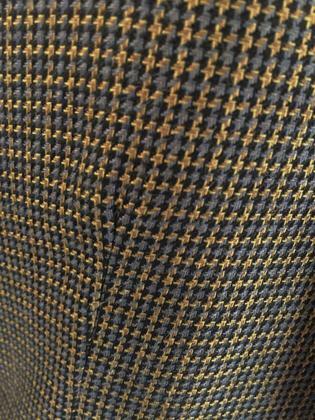 Fabric has quite a few nicks/pulls. 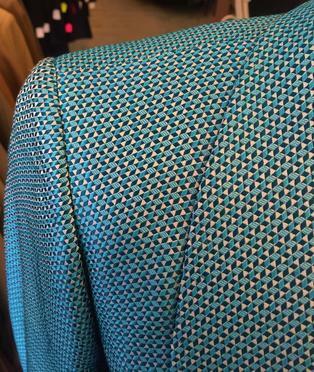 Coat Length: 36 1/2" plus 1/2"
Coat Length: 41 1/2" plus 2"
Has some faint sweat marks and a few minor nicks to fabric. Looks to have never been worn. 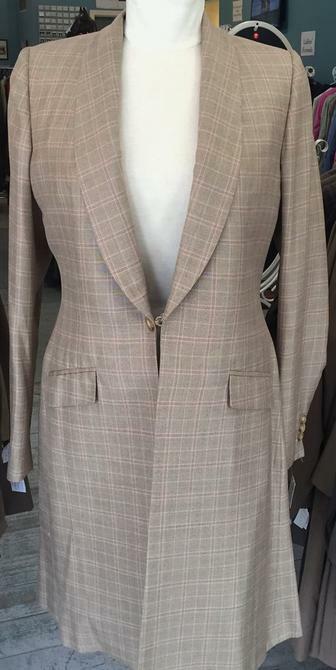 Coat Length: 36 3/4" plus 1"
Coat looks like it was never worn. 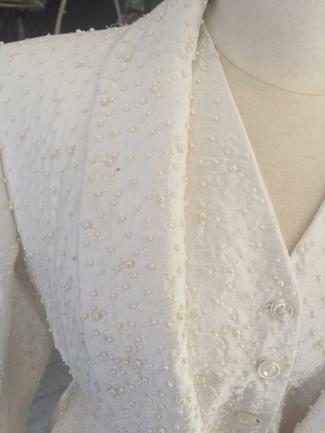 Sleeve: 24 1/'2" plus 2"
Several pearls are loose or missing on coat and vest. 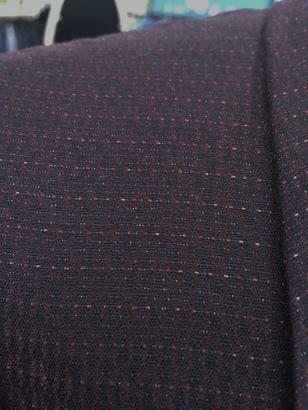 Coat Length: 39 3/4" plus 1"
Lining on bottom of coat skirt has come unstitched. 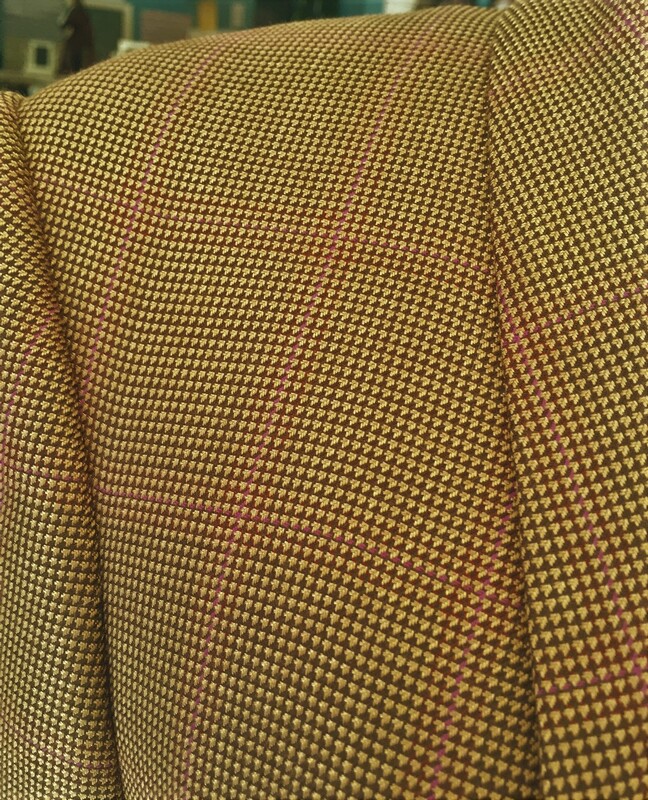 Coat has some picks to it as silk will do. Has a few nicks to fabric. 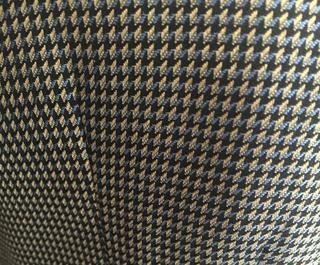 Coat Length: 34 3/4" plus 1 1/2"
Small area on both cuffs have come unstitched. 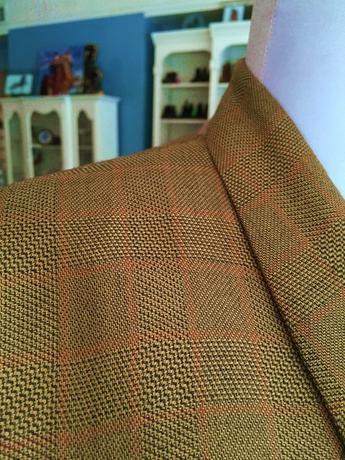 Two tiny pokes through fabric on right shoulder and some picks to fabric on right lapel. 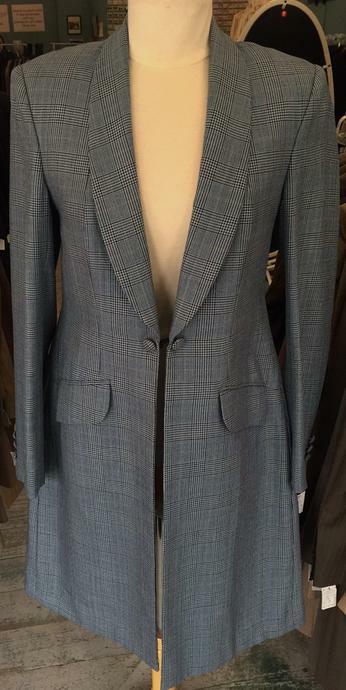 Sleeve: 25 7/8" plus 0"
Coat Length: 37 1/4" plus 0"
Coat is a lightly used and was about $2100 new. 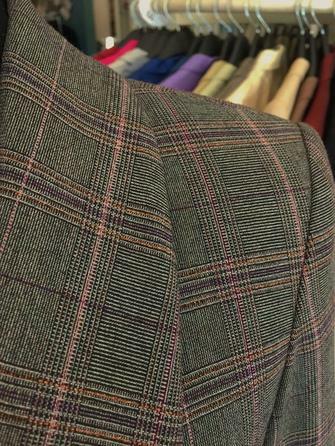 Nape to Waist: 15 1/2" darts were dropped, could be raised back to 14 1/2"
Coat is very lightly used with some sheen to fabric. Nape to Waist: 18 1/4"
Length: 38 1/4" plus 2"
Length: 37 1/4" plus 2"
Tiny area of lining at one arm hole has started to come unstitched. Has a few minor nicks to fabric. 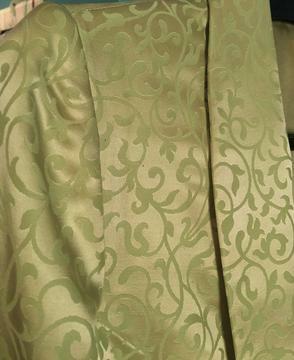 Nape to Waist: 17 1/4"
Length: 38 1/2" plus 1 1/2"
Silk blend coat has a small amount of sheen. 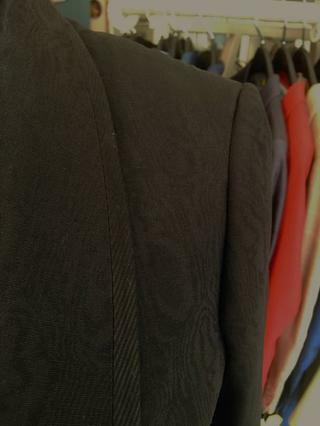 There are a couple spots on front of coat. 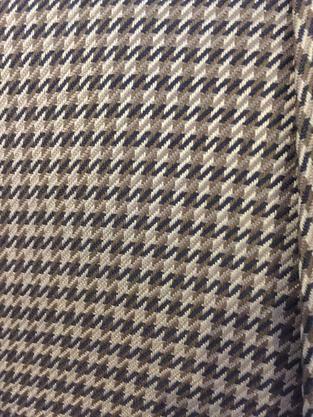 Sleeve: 26" plus 1 1/2"
Length: 37 3/4" plus 2 1/2"
Length: 37 1/4" plus 1"
Coat is new straight from DeRegnaucourt. Sleeve: 24 1/2" plus 2"
Nape to Waist: 17 1/2"
Length: 37 1/2" plus 2"
Coat is lightly used and part of the DeRegnaucourt apparel upgrade program. 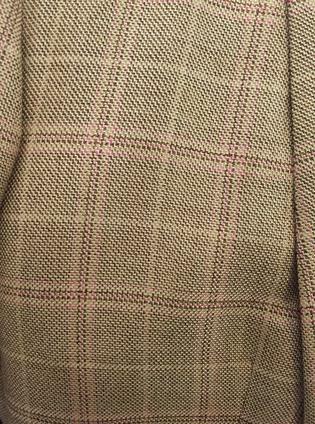 Sleeve: 24 7/8" plus 2"
Coat was only worn twice and is part of the DeRegnaucourt apparel upgrade program. 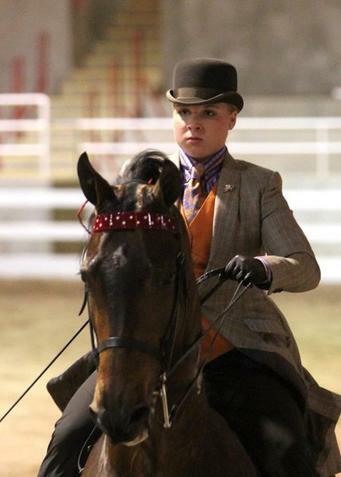 Gorgeous coat is very lightly used and part of the DeRegnaucourt apparel upgrade program. 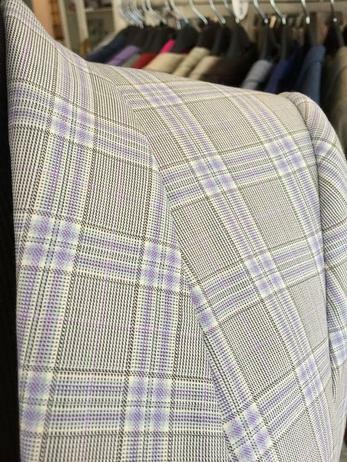 Has a couple very minor nicks to lapels. Sleeve: 23 1/2" plus 2"
Lining around one arm hole and at bottom of coat has come unstitched a tad. 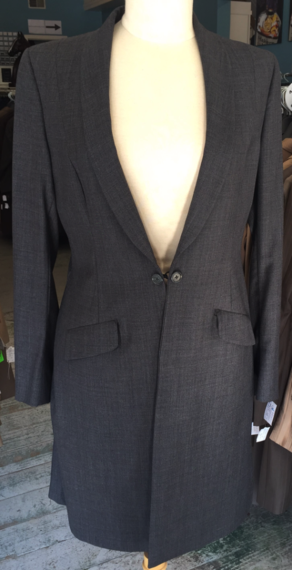 Length: 38 1/2" plus 2"
Coat is very lightly used and part of the DeRegnaucourt Apparel Upgrade Program. 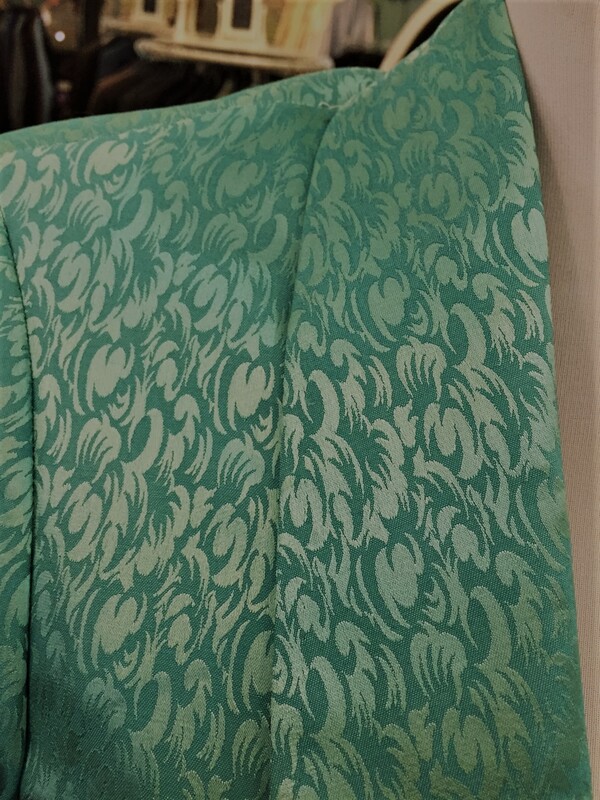 Sleeve: 25 1/4" plus 2"
Coat has some nicks to fabric and some faint staining on skirts and near cuffs. 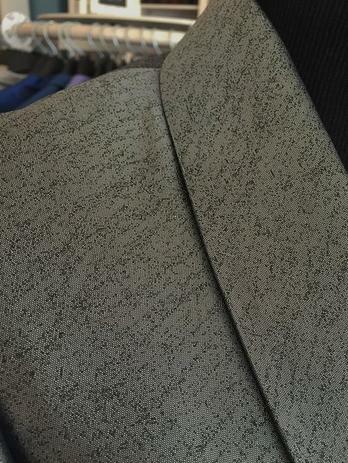 There is some darkening on bottom of both coat skirts, not sure what from (see photo). 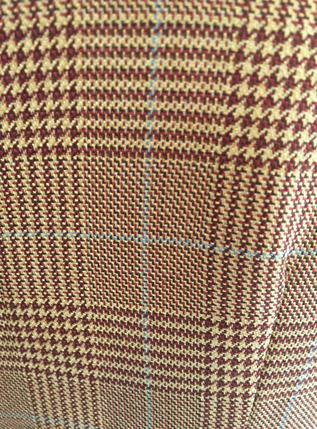 Coat is new straight from Brighton & Woodchurch. 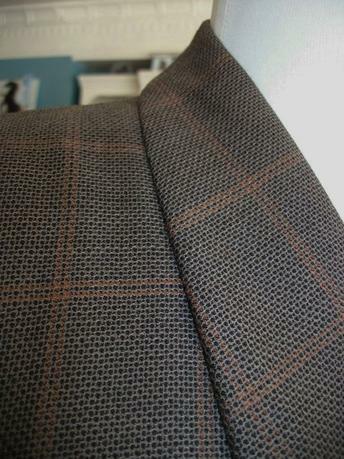 Sleeve: 24 1/4" plus 1 1/2"
Approx 3" tear in lining and coat at middle vent. 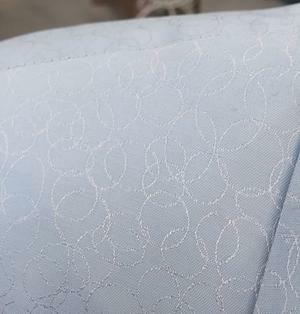 One inch flaw in fabric on back coat skirt. 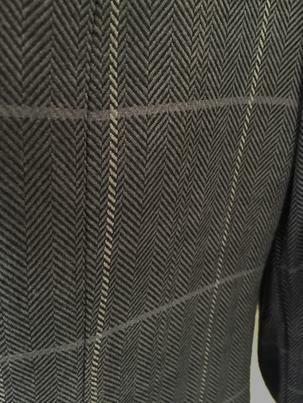 Lining at bottom of coat skirt and at one sleeve cuff is coming unstitched. 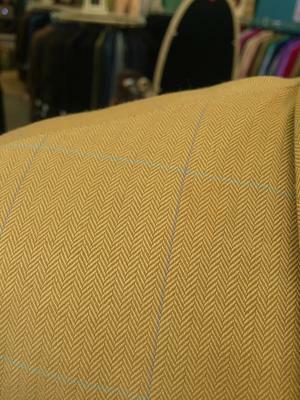 Lining at middle vent and on bottom of coat has come unstitched in some areas. 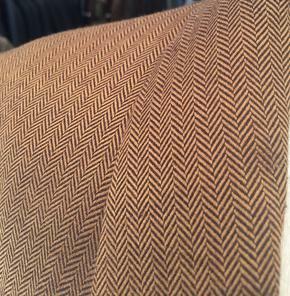 Coat has a few minor nicks/pulls to fabric. Sleeve: 24 1/4" plus 1"
Length: 37 1/4" plus 1 1/2"
Almost 1/2 inch front seam becoming unstitched near pocket. 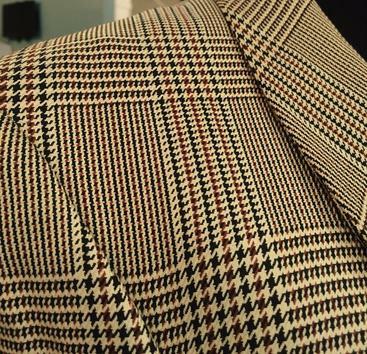 Bottom of coat skirts have minimal sweat stains. 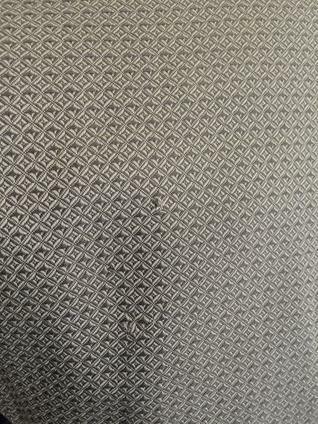 Small amount of bottom coat lining stitch has come undone. 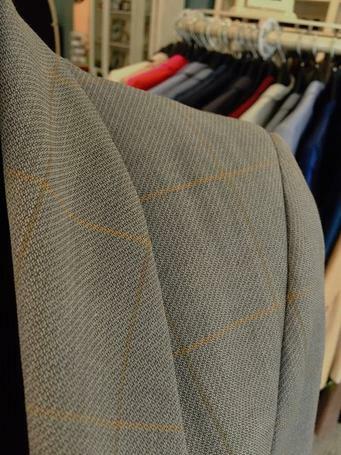 Coat and vest are very lightly used and part of the DeRegnaucourt apparel upgrade program. 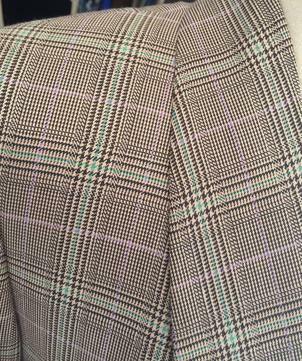 Coat has a few minor nicks where seams were let out down sides and middle of back. Can separate out vest is new owner does not need. 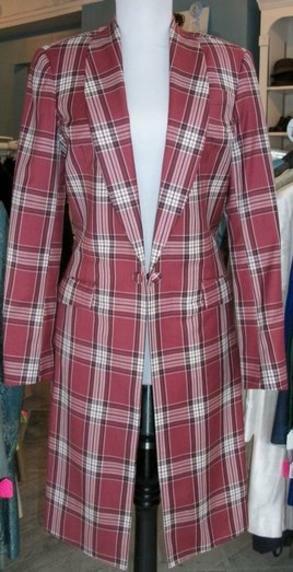 Coat is lightly used. 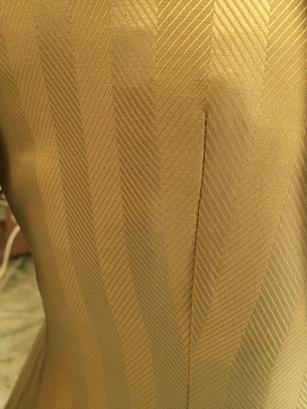 Lining around both arm holes has come unstitched in places. 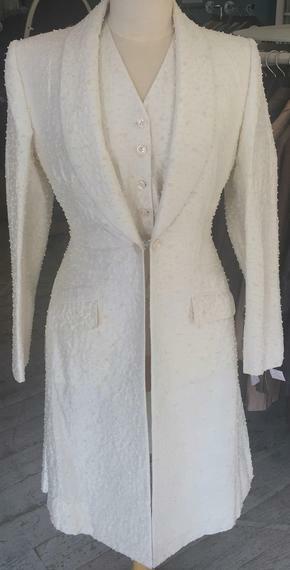 Coat has snaps to hold skirts back and tab on the back to hang number from. 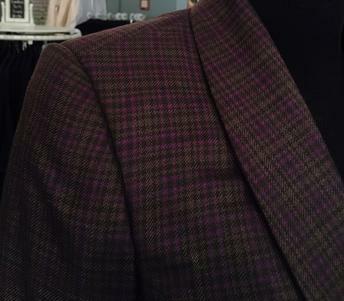 Color is richer in person with a touch of an olive tone. 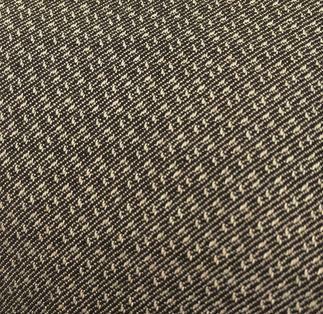 Fabric has a few minor picks and fuzzies. Lining at one inside vent has come unstitched and there are a few minor nicks to fabric.